issues, ego and a sense of power. good homes for the animals, but too often that purpose is obscured. police dogs, ignoring the word “shepherd” in the name of the breed. 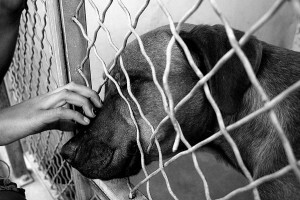 away the pet and a few rescue groups include a clause to maintain co-ownership. representatives to conduct inspections at any time, with or without notice. having lost a pet can disqualify an applicant. the following week once the dog had been vaccinated. conduct a home inspection or check her veterinary references. having to tell my kids we aren’t getting the doggy. rescues, she is now planning to purchase a dog from a reputable breeder. because they were hurt or abandoned. stray cats to be spayed or neutered and vaccinated – all out of her own pocket. their own and the plaque build-up was gone. The diet also helped with his skin. situations with children. The rescue was clearly not honest about any of this. In all honesty, I felt like they were in a hurry to get rid of him. run into and could have become more efficient of an owner far more quickly. issue, that they have yet to file any paperwork to acquire a 501c3 designation. Registered non-profit groups are listed on Guidestar.org. play time outside the cage? Are they kept with other animals of their species? provide your personal information on an application. Beware the “mandatory donation” in place of an adoption fee. birds and rabbits stacked one on top of another in their garage. the animals are being housed and if anything seems out of place, walk away. animal’s physical and emotional needs. What is 10 + 11 ?